With the wonderful ice storm kicking us out of our home for a week, the main highlight of my holiday break happened downtown at the Sony Centre. 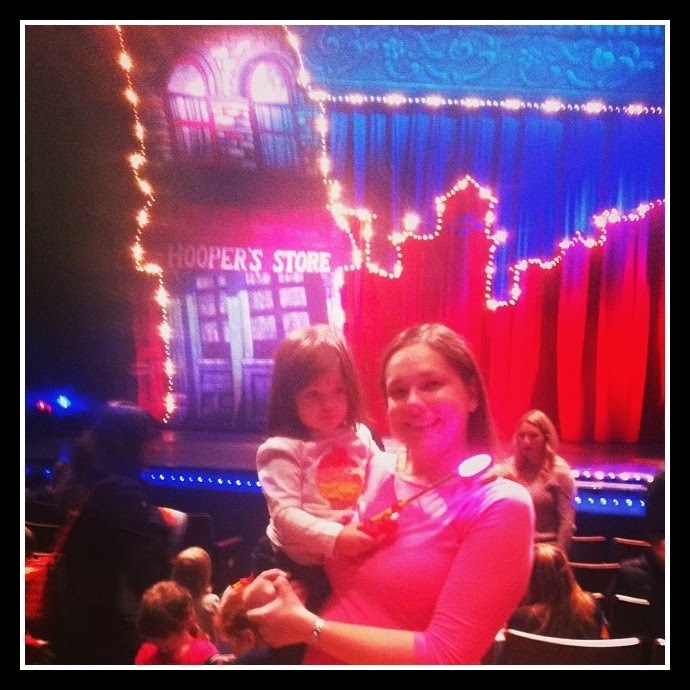 We took Hannah to see her first-ever show - Sesame Street Live. 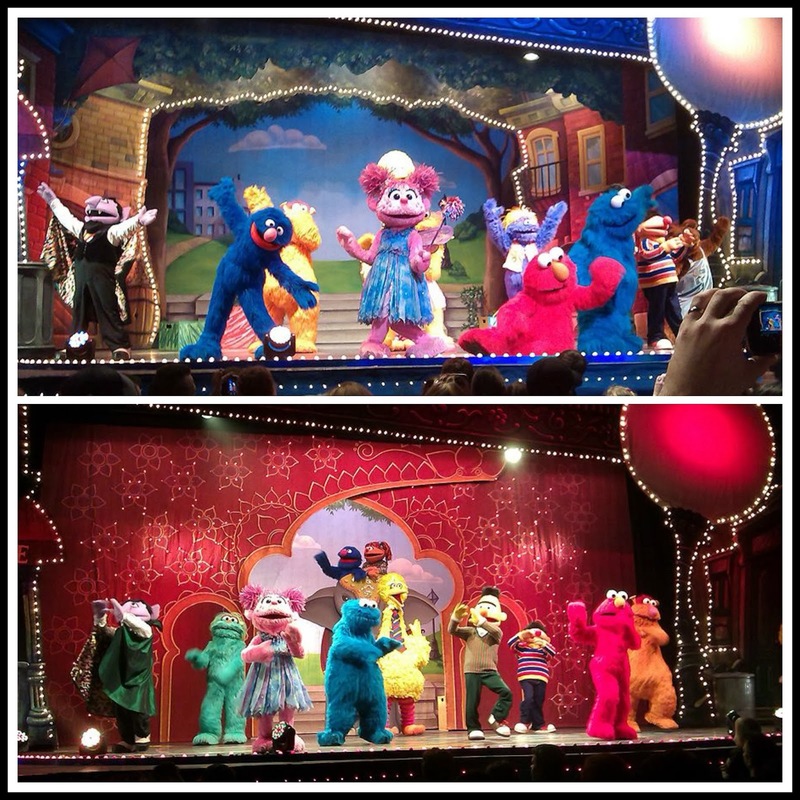 The last time I saw Sesame Street Live was in the early 1990s. I was 8 or 9 years old. And I gave my Mom a really, REALLY hard time for taking me and my brother (who at 5 or 6 was still prime Sesame age). I complained the whole way down to the O'Keefe (at least that's what I think 1 Front Street East was called at that point.) Living in Scarborough and taking the TTC, that was at least an hour. In an attempt to shut me up, my Mom bought me some sort of flashy light toy. Once the show began, I was still making snide comments from my seat about how I was so happy no one from my class would see me at a show for babies. But when Grover came out and danced to the Beverly Hills Cop theme song complemented by strobe lights that shut me up for the rest of the night. It's funny how more than two decades later I think Sesame Street Live is the hottest ticket in town. I remember logging in to Ticketmaster before the presale, constantly refreshing my browser more stressed than I am for NKOTB, Justin Timberlake or my ultimate - Backstreet Boys tickets. These tickets were not only for me (OK, OK, they were mostly for me) but also for my daughter. The day they finally arrived in the mail I almost put them in the freezer which is what I had done in my teen fan girl days (because, you know, if there was ever a fire, the tickets would be safe in there!). More than six months after my stressful Ticketmaster session, the day of the show arrived. I bought Hannah an Elmo holding a flashing star (which I'm proud to say she waved during the show AND still plays with at home). When she saw the stage, she looked a little perplexed. And then, when the show started and Oscar came out of his trash can, her little eyes lit up. And OK, so did mine. Zoe came to say hi to us in our seats! We danced the Elmo Slide in the aisle while Elmo gave us directions from the stage! Super Grover made an appearance! You couldn't wipe the smiles off of either of our faces. Because, unlike 8 or 9 year old Sarah Lynn, 2012-present Sarah Lynn is kinda obsessed with Sesame Street. I spend hours googling stuff about Sesame Street - the characters, the puppeteers, even the humans on the show. I YouTube endless Grover and Fat Blue videos (that dude really should eat at another restaurant). I follow the Sesame Street social media accounts perhaps a little too closely. My phone is FILLED with Sesame Street apps. I can't stop singing that "Can't Stop Singing" song from the Music Magic episode. Some people have implied that Hannah only likes Sesame Street because of my influence. You can lead a horse to water, but you can't force the horse to drink. I can only cross my fingers that Hannah will stay thirsty for Sesame Street for a few more years - if not, time for a sibling?